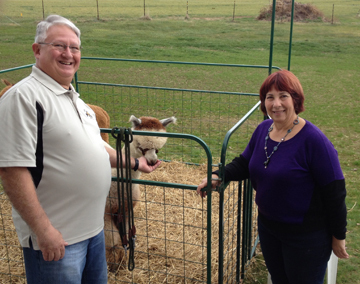 Carol and Joe Rost take us for a tour on the Asgard Acres Alpaca Farm in Renfrew, PA. 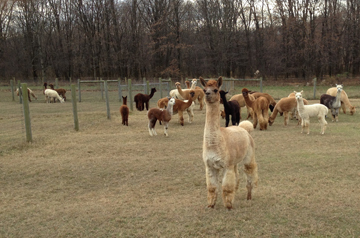 They have a herd of 33 Alpacas on their farm. 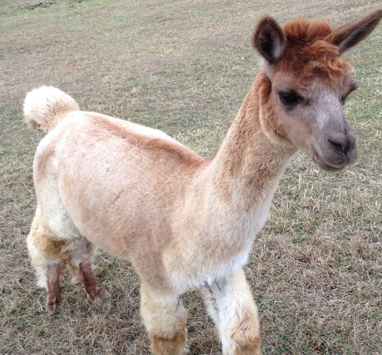 An Alpaca is a beautiful gentle animal from Peru and their super soft and natural fiber woven into sweaters, hats, scarves socks etc. keeps you comfortable year round and especially in the winter. Carole and Joe have a store that is open on weekends from 1 to 5 or by appointment. We also talked with the Butler Spinners And Weavers Guild. 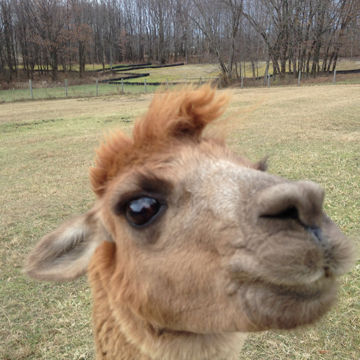 Bella Cora took a selfie for me. Butler Spinners and Weavers Guild were here weaving today. 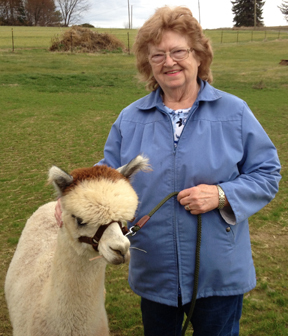 This entry was posted in Uncategorized and tagged Alpaca, Butler Spinners and Weavers Guild, fiber, Peru, Spinning Wheel, Weavers, Yarn. Bookmark the permalink.